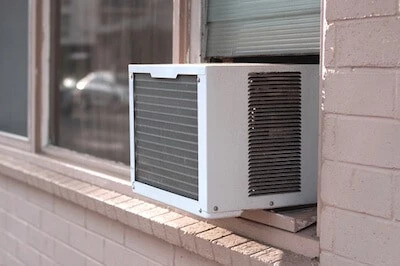 If your room is warm but you don’t want to pay out for a whole home air conditioning system, knowing how to install a window air conditioner could be the solution to your problems. If you’re looking for an easy-to-install and reliable way to keep your room cool but want to avoid the expense of having a central air system fitted, a window air conditioner installation could be the perfect solution for you. Not only are they simple to fit, but they’re also easy to remove when cooling is no longer required once the warmer months have gone, meaning you can store your unit away for the winter and use your windowsill for any other purpose you like! If you’re ready to find out how to install window AC, read on and discover our user-friendly installation guide. If you’re wondering how to install a window air conditioner, the first step is to check out the exact size of your room. 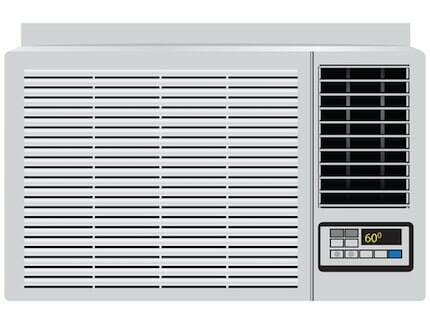 Window air conditioner units are sold in a number of cooling capacities and sizes, so you need to ensure you’ve chosen the best one for your room’s needs. Measure your room to find out its square footage. Then you can match those measurements to those of the different window AC units on the market to select the most appropriate model for you. Recommended Reading: Learn all about the smallest AC units on the market. The majority of window air conditioner units are designed to be installed in a double-hung window. However, there are some models which can be used in casement windows too. When you’re selecting which window you’re going to install your air conditioning unit in, don’t forget about fire safety. Air conditioning units could stop you getting out of the room during a fire, particularly if there’s only a single window in your room. These days, we’re all thinking more about our carbon footprint so check out the energy efficiency of your chosen air conditioner before you buy. The energy efficiency rating (or EER) on each unit will range between 8 up to 11.5. You should select a model with a rating of 10 or higher to save energy and reduce your energy bills. There are several features to look out for which will also serve to reduce your energy consumption. These include sleep settings, variable fan speed and digital temperature controls to conserve power. Once you’ve chosen the best air conditioner unit for you and your room, it’s time to find out how to install it properly. You will really need help from another person when it comes to the installation process. The units are awkward and heavy, so you don’t want to accidentally drop your unit out of your window or onto the floor where it could get broken and damaged. You’ll find the process of installation easiest if you use a double-hung window. The majority of air conditioning units come complete with a fitting kit which includes mounting brackets and window extensions. These ensure that the fit is air-tight and keep your window secure. You should pre-fit the attachments onto the window before you drill any holes. Begin by lifting the window’s lower pane. Put the unit on the windowsill. Don’t release until you are certain it’s fitted solidly into place. If the windowsill is too narrow to properly support the unit it’s possible to purchase a bracket which will attach to the bottom of the air conditioning unit and the exterior wall. Slide the unit extensions out so that the window space is filled. Level the air conditioner unit. Always follow the instructions supplied by the manufacturer. Most models need to be tipped slightly towards the outside in order to drain away condensation. However, other models aren’t designed for tilting so check the instructions first. Lower down the window pane on the unit so it locks firmly in place or fasten your unit onto the brackets. Most models require you to secure the upper window pane in place so that there will be no movement. Secure the extension to your window jamb. Seal the air conditioner unit using weather-stripping on the inside and caulk around the outside perimeter to guarantee a perfect seal. If you find that the seal isn’t good enough, use plywood boards to fill in the gaps which are not filled by extenders. Your unit is ready to use. If you have a horizontal sliding window rather than a double-hung or casement window, don’t despair as it’s still possible to install an AC unit as long as you construct a frame. You can use either Plexiglass or plywood to create the frame and while the result will not be the most visually appealing look, it will get the job done and your room will be pleasantly cool. Recommended Reading: Find out all about the quietest portable air conditioners in our latest article. Air conditioning units require plenty of power, so you need to consider which circuit you connect your unit to. When the same circuit is powering other appliances with a high energy consumption like vacuum cleaners, dryers, and refrigerators, you should probably consider a different circuit. This is because it could overload the circuit and cause damage. The cord which comes with your air conditioner unit should either say “major appliance cord” or “air conditioner cord”. These types of cord have been rated as suitable for use for the heavy draw on your current which your air conditioner will require. Always choose the shortest length of power cord necessary to get the job done and always remember to check your air filter monthly during use to ensure it is clear of any obstructions. It can be tricky to remove your window air conditioning unit, so unless getting a better seal during the winter months is essential or you have a desperate need to gain access to your window, you should consider leaving the unit in place all year round. To remove the unit, unfasten it and pull it out of the window. Don’t lose the weather-stripping or hardware during the process. Store your unit upright away from corrosive chemicals or sources of moisture so it will be ready for installation again once the summer months return next year.